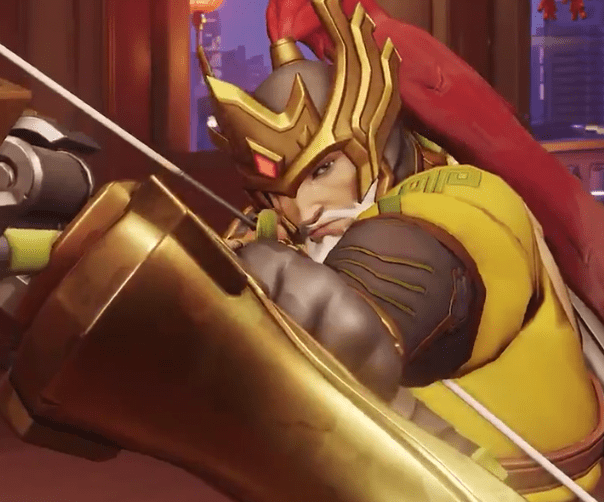 Huang Zhong Hanzo revealed as the second new skin for Overwatch's Lunar New Year event – AiPT! Blizzard’s celebration of the Chinese New Year delivers another awesome skin. In celebration of the Chinese New Year, Blizzard has once again delivered Overwatch’s Lunar New Year event. This year Overwatch players will celebrate The Year of the Pig — or as some players are jokingly referring to it, The Year of the Roadhog. Huang Zhong was a military general that served under the warlord Liu Bei during the Eastern Han dynasty of China, and was best known for his victory at the Battle of Mount Dingjun. Reaper’s new skin is also based off of a general from Imperial China’s history, and both men were portrayed in the 14th-century historical novel Romance of the Three Kingdoms. The novel features five “Tiger Generals” under the leadership of Liu Bei, so following the clues thus far it’s safe to say players should expect at least three more skins inspired from this novel. The Lunar New Year event begins Jan 24 and ends Feb 18. Players will have the opportunity to earn new skins, sprays and other unique cosmetics.